Time to dig out those heisting gloves. Thieves, brigands, and cut-purses alike have flown a little under the radar on Microsoft's current-gen console. Sure, you've got your "Big Bosses" and your "Templars" and whatnot, but aside from that, stealth enthusiasts have largely had to dwell in the shadows and console each other with unsuspecting neck snaps. It wasn't always this way, though. Once upon a time, a little game called Monaco: What's Yours is Mine tiptoed its way directly into our hearts. Luckily, one of (in our opinion) the greatest stealth games of all time has just made its way from yesteryear's Xbox 360 to the more modern Xbox One via the Backwards Compatibility List. As of this very moment, you and three friends can enjoy Monaco's stellar four player co-op in both local and online capacities. 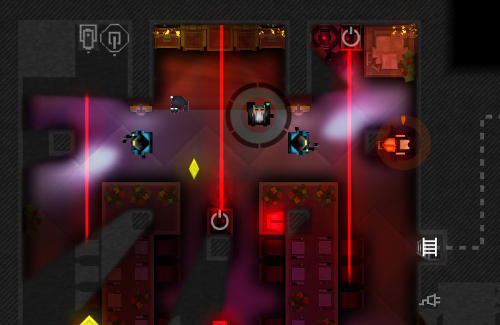 Released back in 2013, Monaco made a name for itself with its colorful 2D graphics, tight stealth mechanics, and unique cast of characters. Personally, I adore the game's reactive, piano-centric soundtrack, which quickly escalates from "moody stealth" to "hilarious capers" based on your ability to avoid discovery. If you're interested in seeing Monaco in action, our very own Eric Murphy has spent quite a bit of time with the game on his weekly F.A.L.C.O. stream, particularly with its zombie mode, "Zonaco". Check out one of their episodes below and see if it's right up your darkened alley. Those of you who are intrigued, but without an Xbox 360 or Xbox One, fret not! The game's also available on Steam.